This is the perfect introduction into ryokan inn culture with rice-paper rooms, traditional dining and onsen hot spring soaks all contributing to idyllic stays. 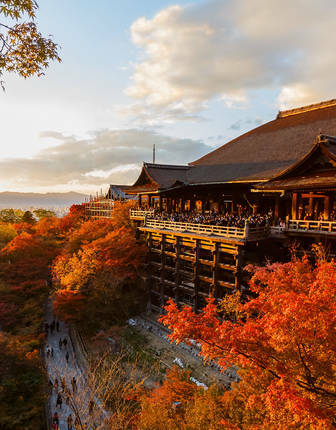 It’s all wrapped up in national-park beauty – your opportunity to discover the charms of rural Japan. Since their discovery some 1,300 years ago, Hakone’s hot springs have made the region a favourite rest stop among weary travellers. And Yamanochaya has the privilege of perching right on top of one its volcanic spouts, providing naturally heated waters to its private onsen baths. The age-old traditionalism continues with walls made from rice paper and floors formed of woven tatami mats as the furnishings measure up to knee height and the beds are swapped for futons. It all contributes to a delightfully minimalist aesthetic, informed by dark-wood detailing and heritage artwork. But the attention to detail doesn’t end with your accommodation. You’ll be contacted by the kitchen ahead of your stay, ensuring that your dining is fully tailored to your exacting tastes across kaiseki meals. Here, the region’s rich, seasonal flavours are showcased across courses that often run into the double digits. It’s all served in your room by your personal attendant who’ll explain the gastronomic art behind each dish. To relax after dinner, we recommend making use of one of the ryokan’s four onsen. Just like your en suite, they’re fed by the volcanic springs and are treasured for their healing qualities. If that’s not enough to help you fully unwind, take a walk along the neighbouring Hayakawa River whose mountain-framed gurgle runs right under the rooms’ balconies. Head further afield and you’ll find forest-hidden palaces and glassy lakes speckled with temples and watched over by Mt. Fuji’s imperious gaze.